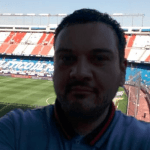 Catello Cuomo (@CatelloCuomo3) previews Real Madrid v Espanyol and provides us with his best bets for this La Liga clash, analysing team news, potential line-ups, head-to-head, key stats and facts and more. Real Madrid return back to La Liga action, after their Champions League win against Roma on Wednesday. A 3-0 victory saw them register 30 shots on goal with Isco, Bale and Mariano all scoring. Real drew 1-1 at Bilbao last week with Isco equalising for them 2 minutes after coming off the bench. They had won their first 3 games without much effort scoring 10 in the process. Only Barcelona (14) have more league goals than the 11 that Real Madrid have scored but they have now conceded in 3 of their 4 games. Karim Benzema looks like he is enjoying his football again and the 4 goals in 4 league games is proof of this. With Ronaldo out of the picture, it could be time for Bale to completely step up and be uttered in the same breath as their former Number 7. His 4 goals and 2 assists are proof that given the playing time and staying injury free, he is more than capable. They host an Espanyol side who have won 2 out of 4 and new manager, Rubi, has made a steady start with them. Rubi was appointed the Espanyol manager during the summer as he left Huesca after achieving their first ever promotion to La Liga. Espanyol have scored 5 goals and conceded just 3; all 3 goals coming in their away games, but they have managed to score in all 4 games this season. Espanyol triumphed against Real last season, 1-0 at home thanks to a 93rd minute winner. This was the first time that they had beat them since 2007. Real Madrid came away unscathed against Roma and have a full squad to pick from. Espanyol could be without Duarte as the defender recovers from a knee injury. In the last 44 H2H games, Real Madrid have won 31, 7 have finished all square and Espanyol have won 6. Before their 1-0 win against Real Madrid, Espanyol had lost 19 of the last 25 against them. Only 4 of the last 20 has seen both sides scoring. Real Madrid have won 18 of the last 22 against Espanyol at the Bernabéu including the last 7 on the bounce. Gareth Bale has scored 15 in his last 18, across all games. Real Madrid were convincing midweek against Roma and on paper they face a weaker team. A win will put them ahead of Barcelona in top, albeit possibly only for 24 hours. Gareth Bale, Benzema and Isco are in good form and are all scoring. Real Madrid are far too short outright but for them to Win to Nil is 11/10 and that has landed in their last 4 at home to Espanyol and 8 times in their last 10. Isco has scored in his last 3 games, twice for Real and one for Spain, he also scored both goals in this corresponding fixture last season. Isco to score and Real Madrid to win is 13/8, but you can get 9/5 for him to score anytime with Unibet.